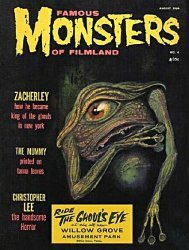 50th Anniver-scary Special Edition reissue of FM #4, one of the most popular FMs of all time, printed on much higher quality paper stock than the original! Complete with Ghoul's Eye sticker! We have a limited quantity on hand so order yours today. 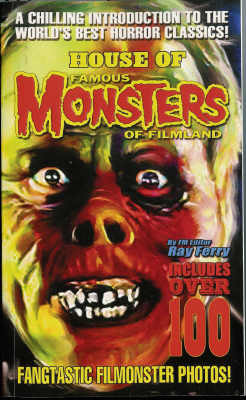 Collectors Note: This is a reissue of the original edition from 1959 with the Ghoul's Eye sticker on the cover. Famous Monsters of Filmland House of Famous Monsters paperback New Uncirculated!